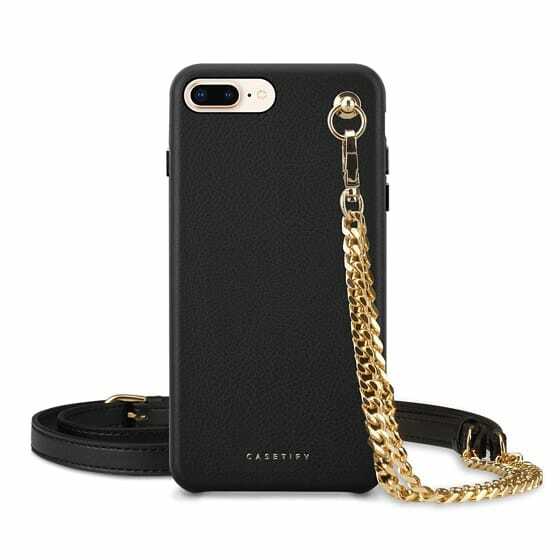 Made with genuine premium leather, luxury iPhone 7 Plus cases come with a detachable chain wristlet (270mm) or vegan strap (1,350mm ~ 1,470mm) to transform it into a crossbody phone case. This stylish leather iPhone case with vegan strap provides extra resistant grip to keep it slip-free. Raised bezel around perimeter guarantees screen protection to the iPhone crossbody case. Monogram customization is available.